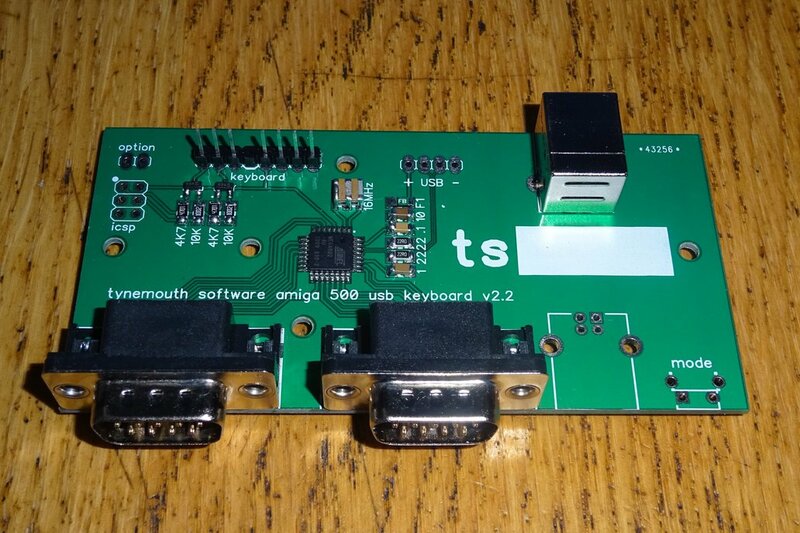 This is a kit which will allow you to convert a (preferably non-functional) Commodore Amiga 500 or Commodore Amiga 500+ into a USB keyboard which can be used just like any other USB keyboard. 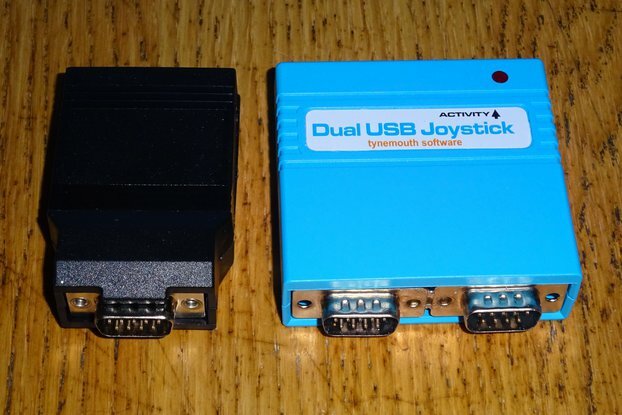 It also includes two joystick ports which allow you to use standard 9 pin Commodore / Atari style joysticks as USB joysticks, and optionally two audio jacks to connect to provide rear audio output from a Raspberry Pi or other single board computer. 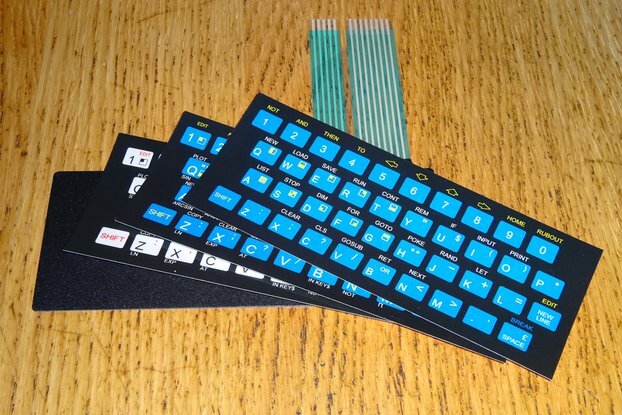 I have made many USB keyboard kits for many different vintage computers, which I am starting to list here on Tindie. 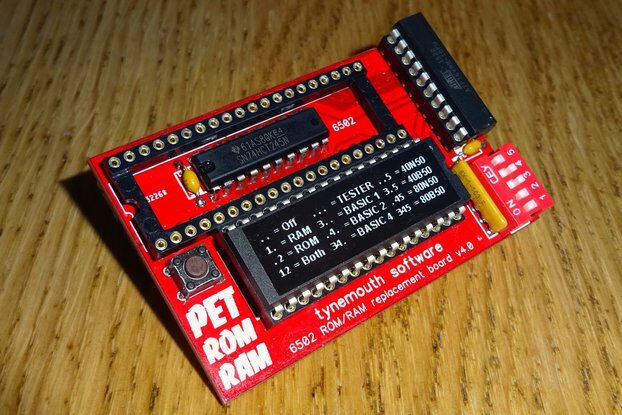 These were built at the request of A500 owners who wanted to reuse the case and keyboard from a broken machine, either as a plain USB keyboard or to install a Raspberry Pi or similar. 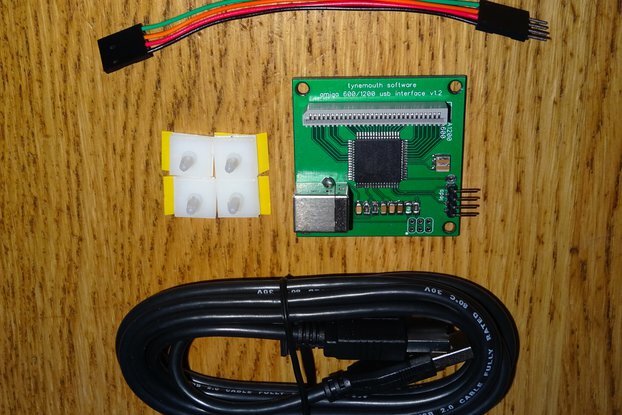 This is a plug in and go kit, designed specifically for the A500. 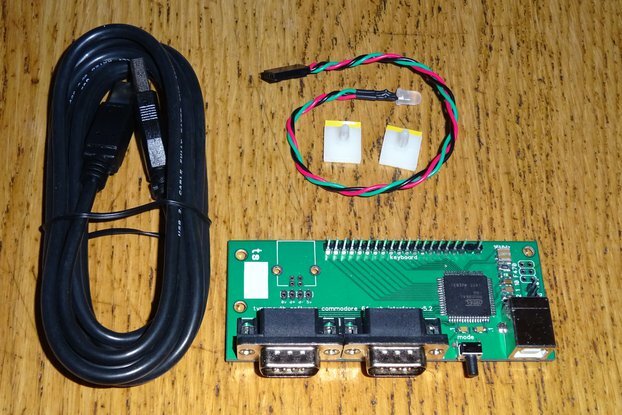 No special drivers and need to do any remapping in software, the keyboard will be detected as a standard USB keyboard in Windows, OS X, Linux, and any tablets or phones which allow you to connect a standard USB keyboard. The joysticks will appear as two separate USB game controllers with a 4-way directional stick and up to three buttons. Amiga mice are not supported, only joysticks. 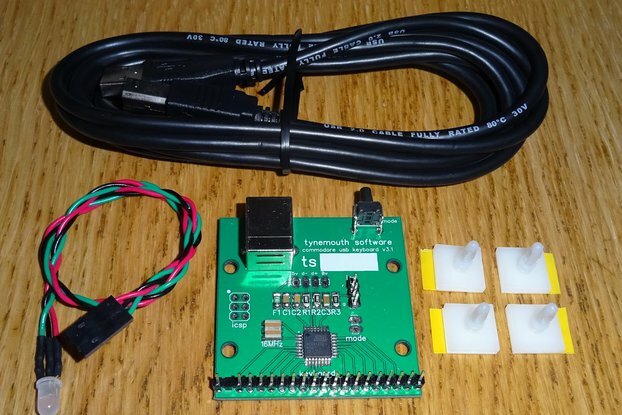 The kit includes the USB keyboard controller, fixings and a USB lead. The audio version also comes with a 3.5mm jack plug to jack plug lead. 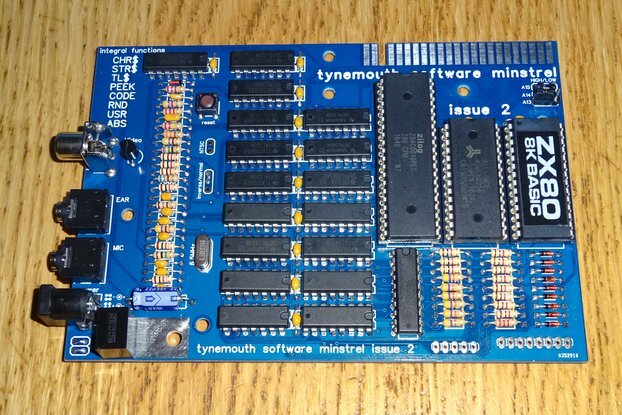 The kit does not include an Amiga case or keyboard, you need to provide those yourself, and please try to start with a broken one if possible. The Joysticks, Raspberry Pi computers and 3D mounting kit shown in some of the photos are not included. Externally mounted USB connector, the USB connector will be accessible from the rear of the case (through one of the audio-out jack holes next to the joystick ports). Choose this if you plan to use it as a USB keyboard with a PC or Mac or tablet etc. 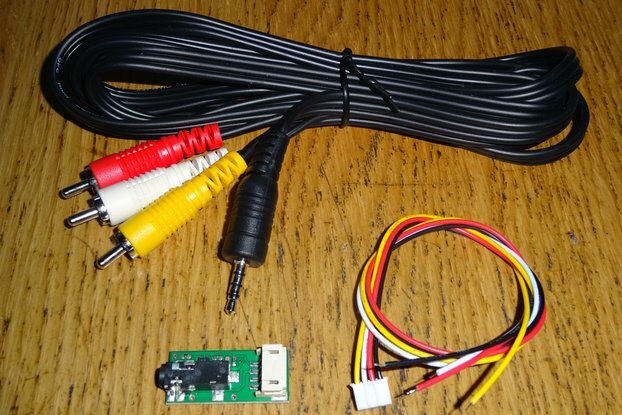 Internally mounted USB connector with audio pass through, if you plan to fit a Raspberry Pi and want rear access to the audio output. How is the keyboard mapped? Almost all the keys map directly to keys on a standard PC keyboard. The Amiga only has function keys 1-10, so the / key on the keypad has been mapped as F12 (which is useful for Amiga emulators). The top right keyboard LEDs are mapped as power and numlock. Some software can be configured to flash numlock as a disk activity indicator. The caps lock LED works as normal. The keyboard mapping is designed for standard UK or US keyboards, however, the Amiga keyboard was as far as I know, common across all regions. The only changes were to the keycaps, so the mapping should work in other languages if the matching keyboard language is selected in the operating system. A bug in recent versions of Windows causes both joystick ports to be labelled as 'Joystick 1', although the order they are displayed in is correct. Linux based systems identify the ports correctly. 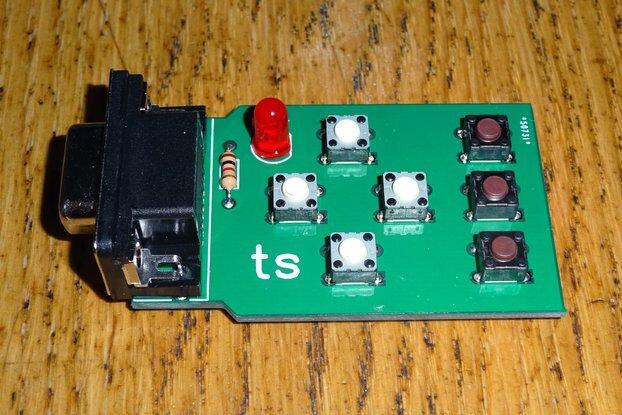 An easy way to use an Amiga keyboard for projects, the 500 version has the bonus of having joystick ports. My only gripe even though small is the joystick ports do not center correctly on the case joystick port holes. Sorry about that. The joystick ports appear to line up correctly on the cases I have tried. Which way is it out of alignment on your case? Too close, too far apart or too high/low? Very High Quality and does exactly as it says on the tin .. I decided to wait until I finished my Project before writing my review and all I have is praise for this product. A very professionally made unit and comes with everything you need including cable and plastic mounts. The keyboard is flawless and F12 has even been taken into consideration for Winuae using the \ on the Keypad to emulate F12, The Joystick ports work out of the box with Winuae giving you the feel of a real Amiga when Gaming..... For me its flawless I now have an Amiga / Windows Deskop PC ( Something I have always wanted )that will play Amiga games including AGA and be an everyday work horse .. I will be ordering more as it seems the whole family now want one. I posted a few pics to show you what I used it for..
Works as adevtised, and it's quite a unique piece of engineering that I could not find elsewhere. Vendor has been really kind and responsive, and shipping was not instant but fast enough. 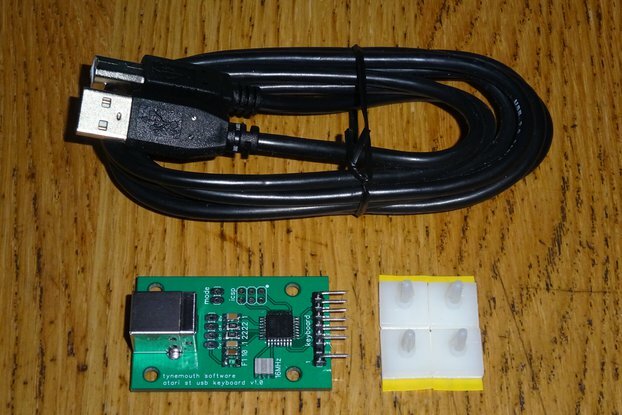 As for the USB conversion kit, it comes complete with adhesive feet and it's own cable and you can order it to your specification. So there you go. Very glad with my purchase.